Traveling with children offers its own kinds of stresses. Whether you’re worried about them being noisy on the plane or making it to the airport on time, one thing you’ll never have to worry about is transporting your car seat. Finding the right car seat travel bag can relieve an unnecessary layer of stress in an already daunting task. Using a car seat travel bag gives you the peace of mind of having the car seat with you to keep your child safe in an unfamiliar place. Most airlines allow passengers to check their car seat travel bag at no additional cost. If you’ve purchased a seat for your child, you can also use the car seat for them during the flight. Who says a car seat can only be used in a car? Be sure to measure your car seat before purchasing a car seat travel bag. While some options on our list have the flexibility to fit to car seats of different sizes, others are more structured. This car seat travel bag tops our list for its sturdy design that offers comfort and support for those traveling with it. 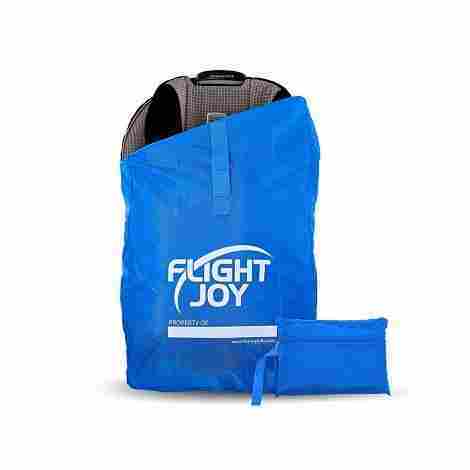 The polyester product is padded and has a dual zipper opening to keep the car seat safe and secure when walking through the airport or being handled by baggage claim. Padding on the interior of the bag and the straps offer a more comfortable fit than other car seat travel bags. 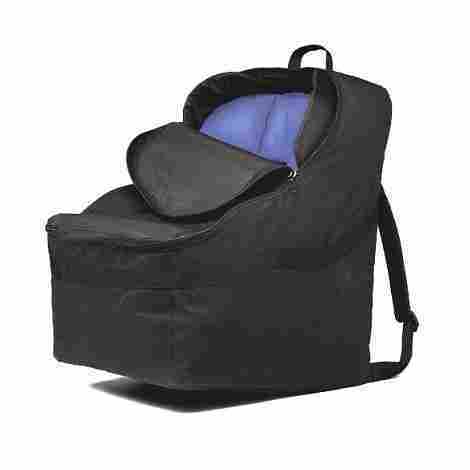 The added structure allows the car seat to be positioned like a normal backpack. Made from water-resistant fabric and an anti-microbial inner lining, this car seat travel bag is easy to keep clean and helps keep the germs away. The J.L. Childless car seat travel bag is the most expensive bag on our list. Given the protective padding for both the car seat and the wearers back, this car seat travel bag is worth the money. This car seat travel bag offers carrying option versatility. With backpack straps, two straps on the sides, and one front strap you choose how you want to carry your bag! The nylon exterior is tried and tested to withstand the not so gentle baggage handling of any airline. Nylon is also water resistant, so it will protect your car seat from any liquid elements. Extra security is guaranteed with the dual drawstring closure on this car seat travel bag. 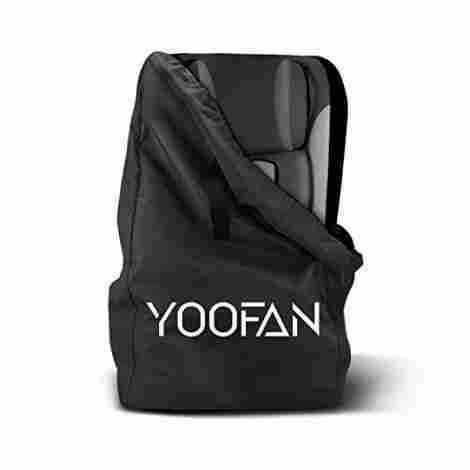 An added Velcro flap on top of both drawstrings ensures extra security. This travel bag is an affordable option that offers the most versatility for transport. With size flexibility up to 34x18x18, this car seat travel bag can fit all the top car seats. This car seat travel bag is a comfortable option for traveling with a car seat. The adjustable backpack style straps help fit the bag to your body. The ballistic nylon design is durable and can withstand the jostling around during your travels. Weighing in at 10.1 ounces, the weight of the carrier adds practically nothing to the weight of the car seat. You can’t talk about this travel bag without talking about the material. Ballistic Nylon is a thick nylon fabric, giving this bag a tough and sturdy exterior. This car seat travel bag is on the lower end cost wise. The ballistic nylon makes it lightweight and durable, a great value for the money! This traveling bag fits most car seats and booster seats. It’s designed with comfort and protection for the car seat in mind. For extra support and comfort, this travel bag has a waist strap to help balance and distribute the weight. Take more of the load off your shoulders and stay balanced while you maneuver through the airport. The padded bag offers extra cushion against your back, plus helps keep the car seat from getting damaged in travel. This car seat travel bag offers a sturdy and structured design coming in at a slightly higher price point than some of the other models. This car seat travel bag is made of ballistic nylon and is lightweight and larger than some of the other models at a middle price point. Not only does the Bubbite travel bag offer padded and adjustable backpack straps, it also has a carrying handle. You choose how you want to carry your car seat through the airport. Built in hood provides extra protection to keep your car seat safe and scratch free. The hood clips in for extra security so you don’t have to worry about the bag coming open. Average cost for a car seat travel bag, the versatile carrying options and secure closure make it a great option. 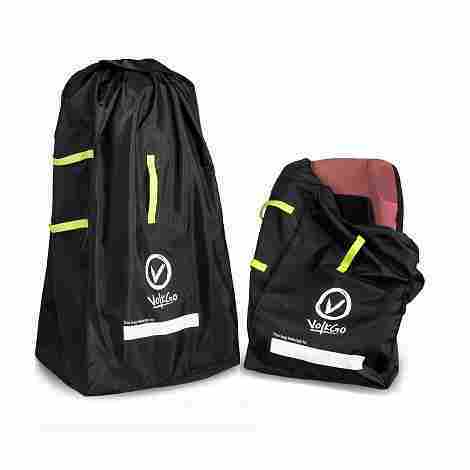 This car seat travel bag is made of ballistic nylon and has a drawstring closure with Velcro hooded seal. This manufacturer offers a 100% money back lifetime warranty. If that doesn’t say confidence in the product, I don’t know what does! Load most car seats and booster seats into the this travel bag with ease. The flexible fabric makes it easy to stretch around without a lot of fuss. The Gate Check Pro is at the lower end when it comes to price and offers a 100% money back guarantee. This travel bag is made of heavy duty nylon. Adjustable backpack straps and two drawstrings make this travel bag comfortable and secure. Most competitors use 210D Nylon fabric, but this travel bag is double the thickness using 420D Nylon. This helps to protect the bag from tearing or wearing down. This car seat travel bag can either be carried as a backpack or with a hand strap. Both straps are reinforced on the inside to offer extra support for the fabric and for the strain on your arms or shoulders. Average cost for a car seat travel bag, but the two-year warranty makes it a great option if you’re in between a few models! The bright blue travel bag is a polyester model with a handle in front and backpack straps. Lightweight and durable option for traveling. Adding extra support to the durable polyester material, the bottom is double padded. This feature provides the car seat extra protection in case its dragged by airport personnel. The Gloglex is large enough to carry a car seat and a booster seat. While this may not be the most comfortable on your back, you may be able to carry by hand to save space in your luggage or avoid using a second bag. The Gloglex is an average price for a car seat travel bag of this size. It has backpack straps and a handle to carry. This company's universal design fits more than just car or booster seats. 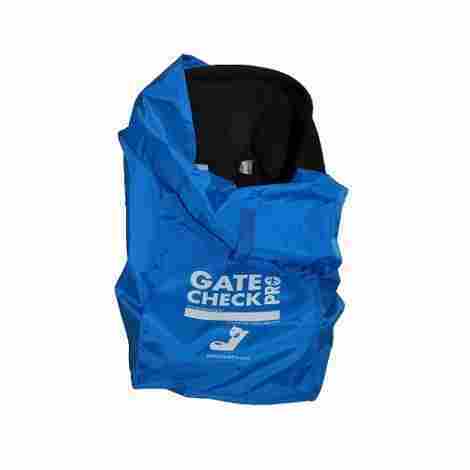 This gate check travel bag can also fit most strollers and infant carriers. Water-resistant fabric keeps the bag clear and whatever’s inside safe from germs and any type of mess. 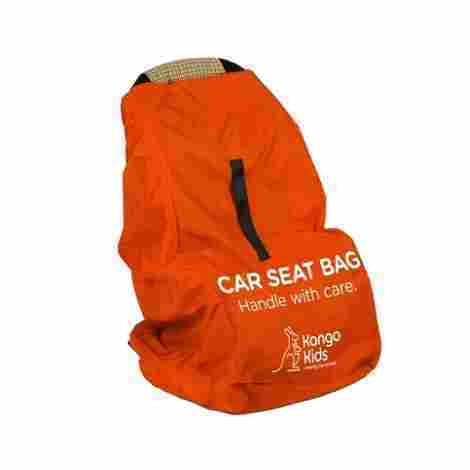 This car seat travel bag has a large capacity and can store multiple items of multiple sizes. This car seat travel bag is on the lower end price wise in comparison to other bags with similar features. This car seat travel bag system is versatile and offers added security for your car seat. A space for your name makes the bag easily identifiable in baggage claim. 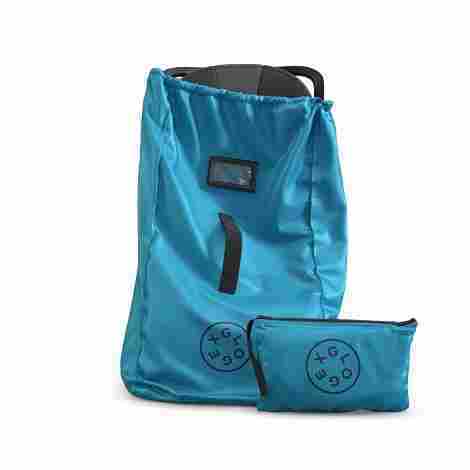 The bag has a 4-step closure system with drawstrings, locks, and a flap to keep the car seat secure. Not only does the Bububee have straps to wear as a backpack, but it has a front handle and side straps. Carry your bag however it’s most comfortable for you! Average price point for a car seat travel bag with similar features. Have you ever had to take a child’s car seat with you when you traveled? Traveling can be a wonderful and rewarding experience. Whether you’re taking your child with you on a vacation, or tackling a move across the country, traveling with a small child can be a rewarding experience that will provide memories for years to come. Traveling with a small child can also cause some extra difficulties, not the least of them the need to take your child’s car seat along with you. The first decision you face is deciding whether to check the child’s car seat with the rest of your luggage or to gate check it when you board the plane, train, or bus. If you choose to check the car seat with your luggage you run the risk of it getting damaged and dirty. The upholstery and padding also run the risk of being ripped and stained. If you check your child’s car seat at the gate you will face the hassle of taking the seat through the security checkpoint along with your child and the rest of your carry on bags. Then you will have to lug the car seat and keep track of your child, at the same time as carrying your other bags through the airport to your departure gate, which may be quite a long distance from the front doors of the airport. Maybe I shouldn’t mention the trip to baggage claim, the process of claiming your baggage and packing it all into a vehicle upon arrival at your destination. The solution to the problem is to purchase a car seat travel bag. These wonderful bags can make traveling with a car seat a pleasant and hassle-free experience. There are many different car seat travel bags to choose from. They range from low cost to expensive and from being just a simple bag to having extra features. So how do you choose the right car seat travel bag? Here are some things to consider. If you choose to check your car seat with your luggage a car seat travel bag can protect the seat from being damaged, stained, or getting wet. We all know that our luggage can sometimes be treated roughly once it disappears down that conveyor belt, so you will want to choose a travel bag that is durable and well constructed. 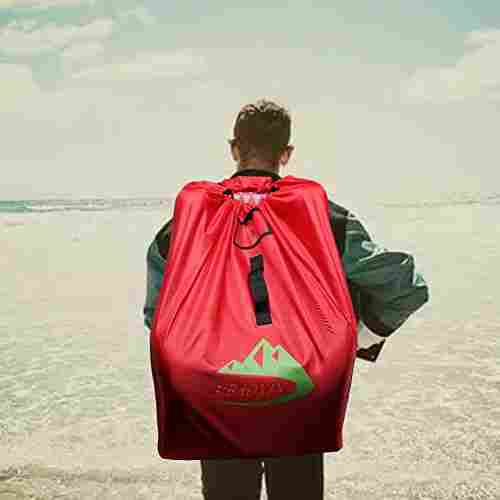 Look for a bag that is made of a durable material such as ballistic nylon. These bags will be less likely to tear. Also look for seams that are sewn with a double row of stitching to reinforce them and prevent the likelihood that they will come apart. Another thing you will want to look for is whether the bag can be closed so that it is water tight. This is important if you plan to check the bag with your luggage due to the condensation that can build up inside an airplanes cargo hold. It will also help protect the seat if you are on a camping trip that encounters rain, or if the storage area you are keeping the seat in when not in use has a problem with leaks. Some car seat travel bags are larger than others. You will want to know the dimensions of your car seat and choose a bag that your particular model will fit well in. Some car seat travel bags come in large enough sizes to accommodate any size car seat. Some of them are smaller or made for only certain shapes. Comfort is another key element to look for if you plan on gate checking your seat on a plane. Is it easy to carry? Look for a bag with padded shoulder straps for easy carrying over long distances. Which do you prefer? A bag with a bright red or orange color that is clearly marked as a car seat gate check bag? Or do you prefer bright patterns, or maybe a classic black? 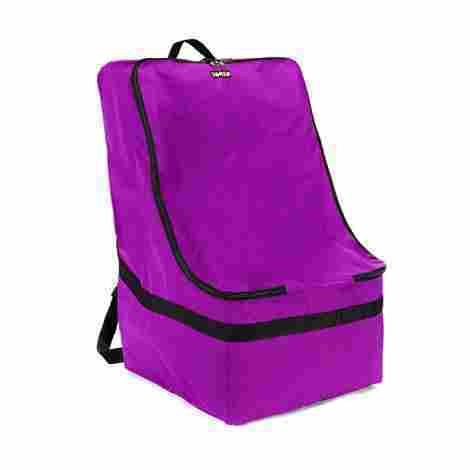 You can find car seat travel bags in many different colors and designs. One thing to think about if you are traveling by plane is the bags that were designed specifically to be gate check bags. These are generally bright orange or red and say Gate Check right on the bag. Some extra that you may want to look for is name tag pockets to slide those little name and address tags into in case the seat is lost. Some other nice extras could be a storage pocket on the on the outside of the bag, and a handy carrying case for storing the bag when not in use. If you’ve ever gone on a trip with a toddler then you know that it can be a hair-raising experience. Carsickness, crankiness, and boredom can ruin a trip before you know it. Traveling with a toddler can also be a great experience full of fun, laughter, and memories that will last a lifetime. The difference between the two is preparation and planning ahead of time for the trip. The keys to a pleasant trip were leaving at ten PM when they were ready to go to sleep, and making sure to pack some essentials must-have items. Things like food, entertainment, first aid, something to clean up messes, and extra clothes and supplies are all essentials that you will want to bring with you when you are traveling with a toddler. One of the most important items that you need to bring with you when you are traveling with a toddler is food. Nothing can make a toddler fussier than being hungry. Bring their favorites and also bring some exciting new treats to keep things interesting. The easiest items to bring will be ones that you can store in small containers or a Ziploc baggie and then hand to the child when they are hungry. Some items to bring for snacks include things like cereal, crackers, cheese, pretzels, pepperoni or hot dogs, and small pieces of fruit. You may also want to pack something more substantial for meals or for when the snacks just aren’t enough, and you don’t want to stop for a meal. Lunchmeat, bread, Miracle Whip, and a butter knife are traditionally a must have. Peanut butter and jelly, hot dogs, or muffins are some other ideas for more substantial meals for a toddler on a long trip. Please don’t forget to pack the sippy cup or some juice boxes for something to drink. The second thing you will want to pack, especially if you don’t plan on traveling overnight when your toddler is more likely to sleep, is entertainment. You have many options for electronic entertainment, and for the sake of a pleasant trip, now may be the time to forego time limits that you have set for the use of electronics. There are even special tablets that you can purchase from popular toy chain stores specifically designed for toddlers and learning. Another idea to entertainment when you are traveling with a toddler would be to buy some cheap plastic toys and wrap them up individually. Saran wrap works just fine for this. It gives the child the thrill of something new, a gift that needs to be opened, and even if it is a small rubber pony or a matchbox car, it should keep them distracted for longer than their same old familiar toys. When the thrill wears off just reach in and grab another one. Another idea would be CD’s with favorite songs to sing along to, and if you have a DVD player in your car a movie playing is a sure bet to keep a toddler distracted. For night trips put a colored lightbulb in a child safe flashlight, and let them paint designs in the darkness. Of course, you will not want to travel with a toddler some supplies like wipes to wipe sticky dirty faces or clean up spills. Make sure you have plenty of changes of clothing in case of accidents, messes, or spills. If you know anything about traveling with kids then you understand that they will always need to use the bathroom at the least convenient moment possible. Bring along some pull-up for overnight trips. Another idea is to bring a potty-training seat and put a diaper or pull-up in the bottom of it. Just pull over and place the child on the seat. You can use it right inside the car, and when they are done, just wrap up the diaper and discard it. 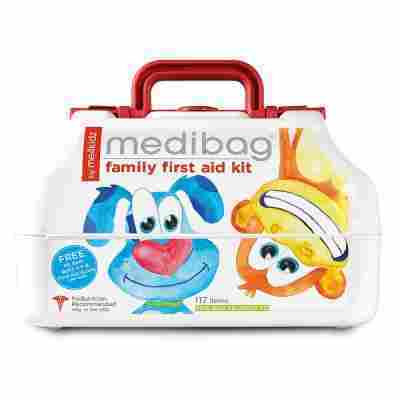 In the case of an emergency, you will definitely want to pack a first aid kit with the normal items like Band-Aids and alcohol wipes of course, but you may want to consider some extras. Carsickness may be something you don’t think about until the moment your toddler is vomiting all over the car. Buy a cheap plastic bucket and keep it or those moments. Also, some peppermint can be very soothing for upset tummies. Don’t forget to also bring your jumper cables, plenty of water, and some blankets. You definitely will not want to forget a car charger for your phone. If you have a roadside assistance program make sure you have the information to contact them in the case of an emergency with you. Traveling with toddlers can be a daunting experience, but it can also be wonderful, and lead to lifelong family memories that you will pull out and revisit in years to come. If you prepare well ahead of time and make sure that, you have the essentials your chances of avoiding a ruined trip will be lessened considerably. Things like food, entertainment, food, first aid, something to clean up messes, and extra clothes and supplies are the essential items you need to bring with you when you are traveling with a toddler. Taking a long haul flight is something that can seem daunting for an adult, but nothing can be scarier than the prospect of having to take a long-haul flight with a two-year-old. If you find yourself having to take a long-haul flight with a young child, it is essential that you are able to entertain them. You should consider, purchasing them a seat if you can, bring snacks, headphones, and have as many different choices of things to do as possible. Many airlines do not require you to buy a seat for a child until they are three years old. They allow you to bring a child on a flight for no charge, as long as you seat them in your lap. It can be very tempting not to purchase your two year old a seat in order to save money. However, if you end up on a full flight, you will regret not doing it. Holding a cranky, bored, or uncomfortable two year old in your lap will get old fast. Being able to put the child down, especially to get some sleep yourself, will go a long way toward helping you keep from getting impatient and cranky yourself. Not to mention having to stay in somebodies lap for that long will get very boring and uncomfortable for the child. For these reasons I highly recommend that you purchase a seat if you have to take a two year old on a long-haul flight. Airline food has changed a lot over the years. In some ways, it is better, and in some ways, it is not. The food offered on flights is often no longer free. It is also not usually the kind of food a child would enjoy. That is of course, unless you decide to purchase chips and cookies. Many airlines give you the option of ordering special meals for small children. This is usually as an option at the time the ticket purchase. If you are purchasing tickets online, it will likely be under ‘extras’ or ‘amenities’. If ordering over the phone, ask your ticket agent if they offer these special meals. Some airlines even offer jars of baby food with their special children’s meals. In addition to ordering the special child’s meal, we recommend that you bring along your own snacks in your carry on.  Things like crackers, cereal, raisins, cheese sticks, and other finger foods. One of the best ways these days to keep a little one engrossed is to put an electronic device in their hand. 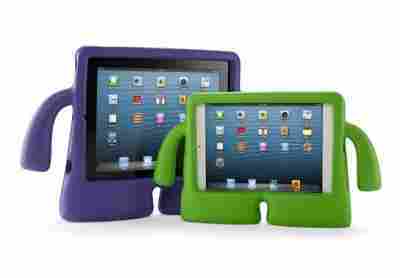 An iPad or Tablet loaded with movies or cartoons can keep them distracted for longer periods. 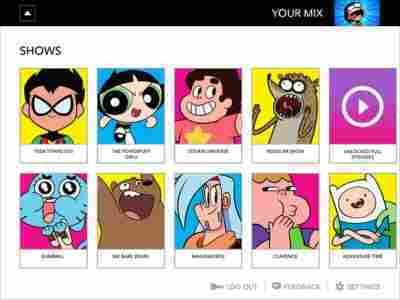 You can also load your cell phone or tablet with MP3 files of your child’s favorite sing-along songs. If you have time limits set for how long you allow your child to be in front of a screen, you may want to lift the restriction just for the flight and make your life that much easier. Many airlines now offer these devices that you can rent, but be sure that you bring your child their own headphones that fit them properly. Airline earbuds are sized fit adult’s ears, not a small child’s ears, and small children will be unhappy if they have to use them. Another great idea for entertaining a 2-year-old is to buy a variety of small plastic from the dollar store. Take each toy and wrap them individually. You could use, wrapping paper, brown paper bags stapled shut, or even wrap each toy in food grade plastic wrap. Whenever your two years old gets bored just hand them another toy and let them unwrap it. When it comes to entertaining a two year old on a long flight, having too much to do is a much better idea than not having enough to do. Some great ideas for things to pack in your carry on include paper and crayons, picture books, coloring books, and a favorite stuffed animal. 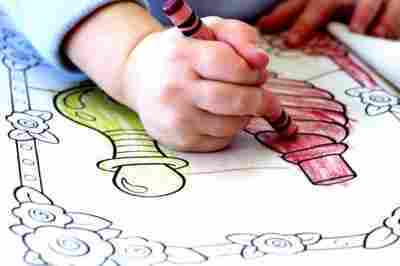 There is this great invention somebody came up with, called water activated finger paint paper. To use the paper your two year old simply dips their finger in water and then uses it to paint on the paper. Another great idea is to bring a bag of pipe cleaners and let your child get creative. Slime or silly putty inside a small resealable plastic bag will let your two year old have lots of fun without making a mess on the plane seats. In conclusion, going on a long-haul flight can be hard for an adult to endure. If you find yourself in the position of having to take a long-haul flight with a two year old it can be even more difficult. The key to making it through the flight and keeping your two year old entertained is prior planning and preparation. Spend the money to purchase them their own seat. You will not regret it if you do. However, if you don’t and end up on a full flight you may very well end up regretting it. Add a child-friendly meal to your ticket when you purchase it so that you are sure to receive a meal your two year old will want to eat. Bring or rent an electronic device and a pair of headphones designed to fit a two year old. Bring lots of options of things to do, such as, crayons and paper, coloring books, water activated finger paint paper, pipe cleaners, silly putty, slim or play dough in a resealable plastic bag, and a soft stuffed animal for comfort when they get sleepy. My number one piece of advice if you need to go on a long-haul flight with a two-year-old: book the flight so that the majority of your time in the air will be during the night when your child will be naturally apt to fall asleep. Our top ten car seat travel bags were selected with comfort in mind. To keep your hands free, we suggest a backpack style travel bag and love when they have verstitle strap options for your hands and extra support for your waist. Protection for the car seat inside the travel bag is a top priority for car seat travel bag users. Whether the bag is padded or made of durable ballistic nylon, these bags will protect the car seat from all the jostling around in transport. Cleanliness is important with young children around. Each bag on our list offers water resistent, germ free protection for the car seat when traveling. These car seat travel bags are easy to clean, too, whether it’s wiping up after a spill or cleaning the empty bag after a recent trip. Car seat travel bags have to withstand a lot of movement over the course of a trip. Each car seat travel bag on the list is made with durable fabric guaranteed to withstand the strains and constant movement of travel. Affordability is another factor used when gathering the car seat travel bag list. We included bags on our list priced reasonably between $18 and $40. Traveling with children is hard, we want your car seat travel bag to make it easier. Hands-free is the perfect way to be for your carseat when you have kids and luggage to also worry about. Q: Should I gate check or baggage check my car seat travel bag? You can do either, depending on your preference. If you check the bag, you won’t have to carry it around through the airport. If you gate check, you will have to keep the car seat travel bag with you until boarding. Q: Will my car seat fit in the car seat travel bag? Most car seat travel bags are universal, meaning they fit almost all car seats or booster seats. The best thing to do is measure your car seat and compare it to the travel bag dimensions. Remember, free form travel bags will be more flexible than the bags with more structure. And there you have it! These are our picks for the ten best car seat travel bags. When making your decision, most importantly be sure to measure the size of your car seat to make sure the travel bag you select will fit the seat comfortably. Consider the type of material you want, as well as the type of closing, such as drawstring, velcro, or zipper. With your price in mind that you want to spend, you are sure to find something on this list.